These Colossal Pistachios are Huge. Only the largest are chosen, then roasted in small batches and lightly salted to bring out their best flavor. Our Natural California grown Pistachios are toasted to perfection. 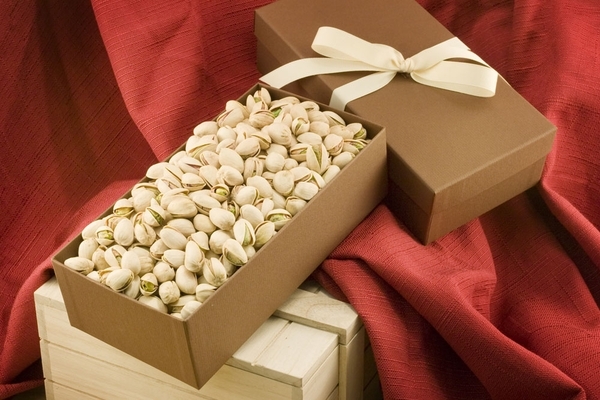 Colossal California Pistachios Gift Box - Net Wt. 10oz. Awesome pistachios. I had a problem with shipping and the company jumped right in to help. Super products. Super service. Was a gift for parents and they were very happy with it! I have ordered several times from Superior Nut Company. Their products are fantastic. I send these to my Uncle who is a pistachio lover and tells me these are the best. I much prefer working with small shops with family history than huge national chains. I'd recommend Superior to anyone.